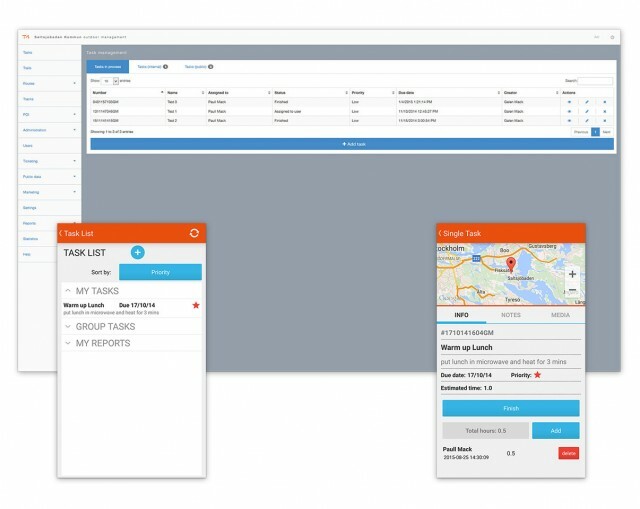 Track4 Outdoors integrates task management combining feedback from the “public app”, the “staff app” (Navigator) and the back office part of the system. Using the Navigator you can create tasks including notes, voice recordings, pictures and locations and then synchronize them to the Track4 Outdoors system. This can be a great way of keeping track of all the extra maintenance and repairs that you might come across but don’t have the time or tools to fix right now. Track4 allows you to plan your work, have the right tools on hand, and find the location of the job again with the least hassle possible. Tasks can even be shared between you and your colleagues allowing everyone to work smarter and more effectively. The system also keeps a log of the jobs pending and those that have been completed so that you know what has been done and what is still awaiting your attention.